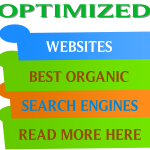 How to do search engine optimization relies heavily on linking. The way people say a website is cool is linking to it. So that gets back to the idea of Google being quoted. The way websites say this website is important is they might have a link on their website that points back to this website. It can be an image link, a text link or any link that points back to the website. We've started on the article website, we post an article, on the blog website we might post a comment, on one of the forums we post a comment. Within that comment we might put a link back to our website. For example, to an article we might reply and at the end say we might say Damian from our soccer website. your domain name. 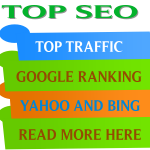 Effectively what we're doing is getting all these other links on websites pointing back to our website which is increasing and improving our popularity. Now, even though we are posting these links, we are effectively engineering that popularity because we are making these posts. What Google is trying to do is try to replicate what happens in nature. 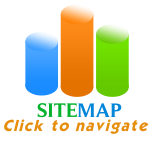 Naturally speaking a website is more popular if more people are linking to it and it therefore must be a better website. We look at strategies, the links are not coming from hundreds of people, and we're creating some of those links. Let's say Nike had a link to our soccer drills website. This link from Nike is going to be so much more important than others, because Nike is an already respected website. Nike already has a lot of other people linking to the website saying this is important. That in a nutshell is the way Google works as a search engine. Based on an analysis of where your links are coming from determines how popular that website is based on the sort of links you are getting. Sometimes you will find one link from nike.com could be worth thirty or forty links from these other websites. It is better to get links from these websites but it's harder. How to do search engine optimization comes down to a balance between volume and quality of links. 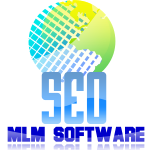 This entry was posted in Search Engine Optimization and tagged Free web design templates, How to Do Search Engine Optimization, How to optimize a website, Johannesburg search engine optimization, Johannesburg SEO by DWBM. Bookmark the permalink.